The Villages of 5 Points East which borrows it’s architecture from the neighboring historic seaport of Lewes, presents one of the varieties of living choices available here at Delaware, from loft apartments to single family homes. 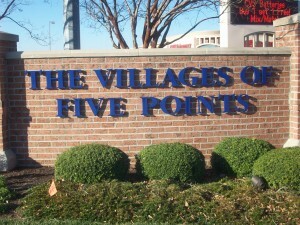 The community also features restaurants, shops, and a variety of professional services all situated within a conveniently short distance from one’s front door .There are also recreational amenities like – Tennis Courts, Swimming Pools and Jogging paths within the Villages of 5 Points East.Public transportation is also easily accessible . This has the Five Points Plaza at its heart which features various outlets where one can buy goods and visit the Dentist or the Gynaecologist at the same time .There are also additional recreational amenities such as a social hall/center where the Community can socialize at ease, trails where bikers can have a field day , walking areas and playing fields . These development consists of two-bedroom, two-bath condominiums featuring abundant amenities, including: High Roofs, Controlled Lighting, Screened Porches and Crown Molding .. This features three-story town homes with Spacious well lit balcony’s, and curved windows . They are spacious and very luxurious. This has , Three-story condominium apartments encircling a pond. At the East Village ,there are Single unit dwelling home lots available . Different distinct living Unit styles are featured here . With a variety of upgrade options available.